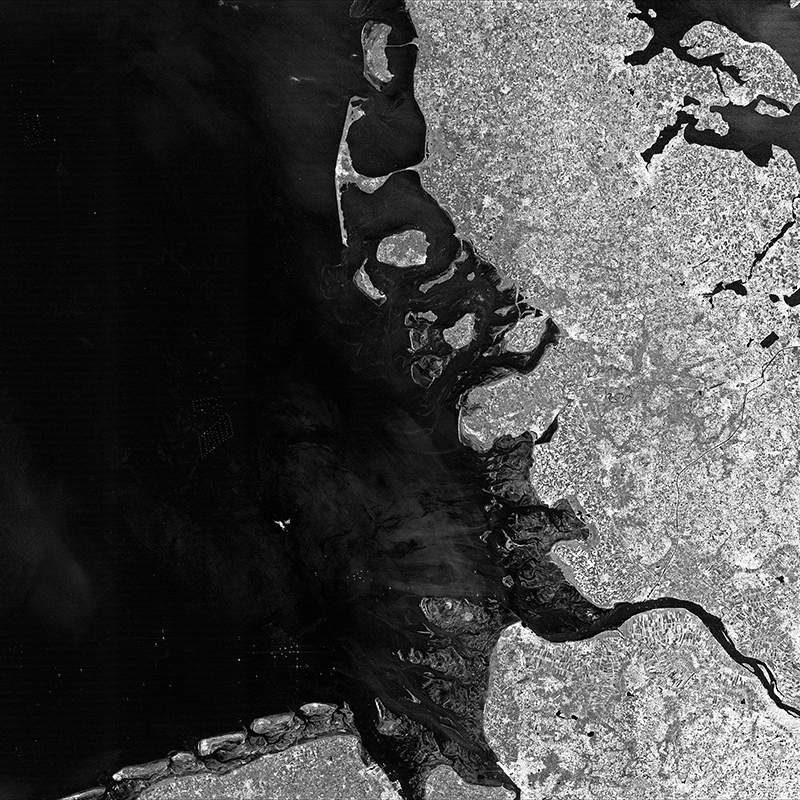 TerraSAR-X Wide ScanSAR Acquisition of The German Bight recorded on 25 July 2013. The new Wide ScanSAR mode can cover an area of up to 400,000km2 in one acquisition. This makes it ideally suited for large area surveillance such as maritime monitoring or oil spill detection.